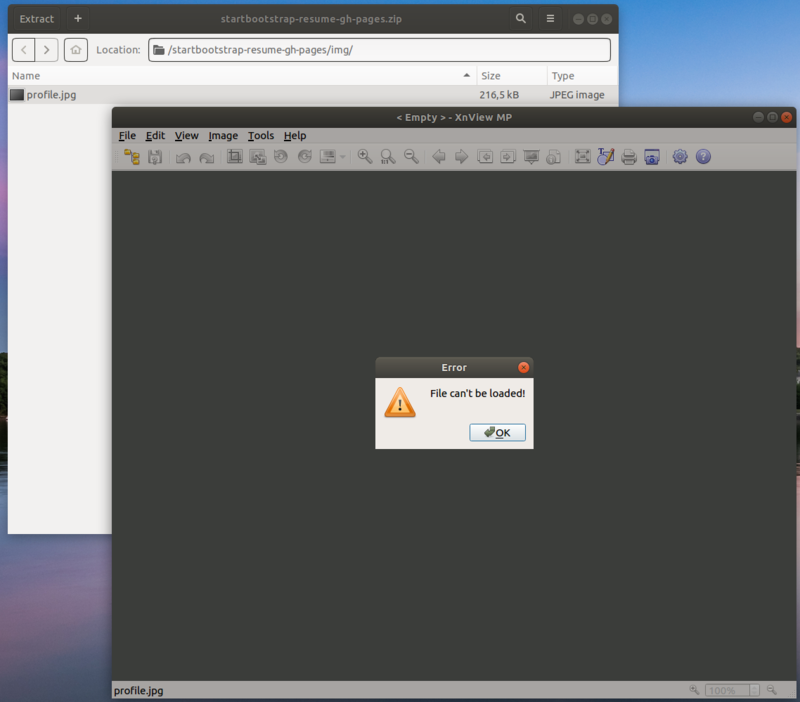 Ubuntu Nautilus Archive Manager XnView MP live file open - Error: File can't be loaded! Is possible to fix live view image files from Archive Manager with XnView MP without Extract? In same environment, for example, i can open html files from Archive Manager with browser without extracting (All ok). Or all work with internal Ubuntu image viewer. But looks like strange behaviour for XnView. It possible to fix it?